History is one of those things that we either tend to love or hate. Drive Thru History Adventures is a program that helps foster that love of history; it brings history to life. One of my favorite Bible teachers has always said “Put on your Greek glasses, your Roman toga, and your Jewish sandals to understand the Bible.” Drive Thru History Adventures basically allows us to do this and shows us what it is like because of that. We get to visit the places history happened, listen to experts who know what life was like, and read about the accounts of history by those who saw or experienced it first-hand. And all of this happens through the genius of the Drive Thru History Adventures online curriculum site. You can access the Drive Thru History Adventures site through an annual subscription or with a monthly subscription. This subscription gives you access to the Drive Thru History Adventures site and also to Adventures TV. What are these two areas? Read on. As you scroll through the lesson, there are images, artwork, and pictures that help you place the history in context and get a feel for what it was like. The lessons are set up like this in all three of the curriculum topics. Bible History – This 18 week curriculum takes you through the life of Jesus, through The Gospels. It is the same video series we reviewed last year but it is now part of this curriculum, as well. These videos are so jamb-packed with material that you can watch over and over and learn more each time. Adding these to the curriculum on the Adventures site means that there is even more perspective and understanding being built. The readings for each of the videos is from the Bible, from the gospel accounts. These are done in readers that are embedded right in the site so you don’t have to leave the site to do the readings. Same thing with the additional videos and articles – the Adventures site is hosting them so you stay on their website while doing all of your work with this curriculum. It does take you to a different page for each of the articles or additional videos so you will have to navigate back to the episode or lesson you are working on to access the next resource in Dig Deeper. This is the one thing that I wish were more streamlined but it is not that big an issue; we have a back arrow, right? American History – This 12 week series take you from Columbus thru the birth of America and the Constitution. We have not watched these in order at this point. We have ventured into this area and watched a couple that went with a discussion we were having. I noticed that the readings are often primary source documents here – for example, the Mayflower Compact is one of the readings. This really helps build the foundation of understanding of the background and growth of America. Ancient History – This 12 episode series takes the students through the ancient societies of Greece, Rome, and Asia Minor. While our family has watched several of these at one time or another, we have not ventured much into this curriculum area during this review period. Each of these are appropriate as a curriculum for age 12 and up. High schoolers will possible need to do some additional work if you are looking to count this as a credit but it is a solid foundation towards that or as a supplement. A couple of suggestions on the site include doing additional research and writing papers. Younger students can definitely benefit by watching the videos and there is much to learn. My youngest enjoys these videos and can even answer some of the discussion questions without any problem. There is much here to be used by the whole family. When you are logged into the site, there is a plethora of information that is available in addition to the curriculum mentioned above. There are expert papers and articles, research, side roads, dig deeper, worksheet and answer keys, and more. Many of these are the same material that is found in one of the curriculum topics but these make them available outside of those curriculum lessons. You can access them by what you are looking for (say a side road or an article) or from the Dashboard. The Dashboard gives you access to the newest videos or featured videos quickly and you can scroll down and find more. 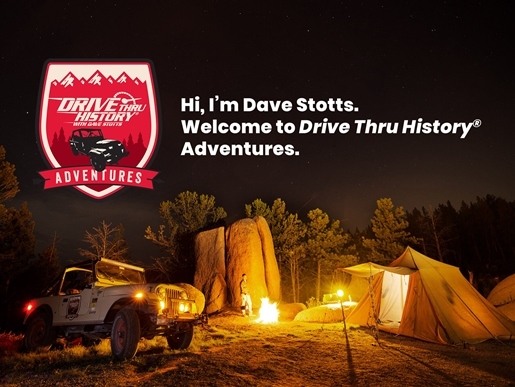 Drive Thru History Adventures has done a fantastic job of putting up some videos to help you get started by taking you around the site and showing you where to find things once you are there. It is an easy start program, for sure. This is a streaming site for Drive Thru History Adventures. It is only streaming; you do not have access to the curriculum resources (if you click on curriculum at the top, it takes you away from the Adventures TV site to the regular site) but you can access the videos. In fact, I love the way Adventures TV is set up. It groups the curriculum videos by time period, puts all the Side Road videos together, and all the Dig Deeper videos are together. Each is labeled with its topic. There are videos for additional adventures Dave has taken that he wants to share and some Behind the Scenes videos on things like the Museum of the Bible and the upcoming series on Acts to Revelation. This site has been where my youngest and I have spent the most time together. From here, it is easy to access a video that might be of interest or might fit something we are talking about in another subject. That makes this a wonderful supplement to many other programs. We have greatly enjoyed the videos related to holidays (Groundhog Day, Valentine’s Day, and President’s Day). We even may have watched some related to the Christmas holidays because they were interesting. Miss E is in 8th grade and wanted to go through the Bible History curriculum for history this spring. She really enjoyed learning about the background to so much of Jesus’ life when we reviewed The Gospels last year that she felt she would really enjoy going through the curriculum created to accompany it here on Drive Thru History Adventures. She is going through about three lessons every two weeks. She is accessing it each day and working for 20-30 minutes. The first day she watches the video and reads some of the selected readings. The second day, she finishes the readings, prints out and answers the questions and goes through the rest of the material in Dig Deeper. Sometimes, this takes her into day three if there are several additional resources in the Dig Deeper section. She has been using the printed worksheet to take notes on the additional resources. If you have to keep track of work, this is a great way to do it. One thing that helps me see how good a program this is? I do not have to ask or remind her to work on her history program. She enjoys it so much that she does it every day. Sometimes, she completes an entire lesson in one day. It is a great fit for her! I like it just as much as I did last time we watched the videos. A lot of the material that is in the video is found in the side roads and Dig Deeper, yet it is presented differently. I like that. I like how the whole video isn’t just Dave talking but it includes some fun extra stuff (such as the Car-B-Q). While younger kids could watch the videos, they might have to have things explained to them. I think this is a good level for junior high/middle school students and I really like this. Any time we can find a program that takes us right into the thick of history and shows us things we cannot easily see on our own, we have found a treasure. The history presented is clear and based on what really happened. It is a trust-worthy company that shows us Christ throughout time and how God’s hand is in all of the world. This is a Christian company with a Christian perspective. I am pleased to be able to say we fully enjoy this company and think that their new Drive Thru History Adventures site and Adventures TV are fantastic. 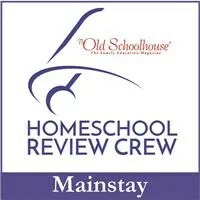 Want to read what other Homeschool Review Crew families think? Click on the banner below. Aw – thanks. I do like it and it is a good fit for Miss E. Enjoying it and learning a lot. 🙂 I will pass that on. Thanks for taking time to comment.